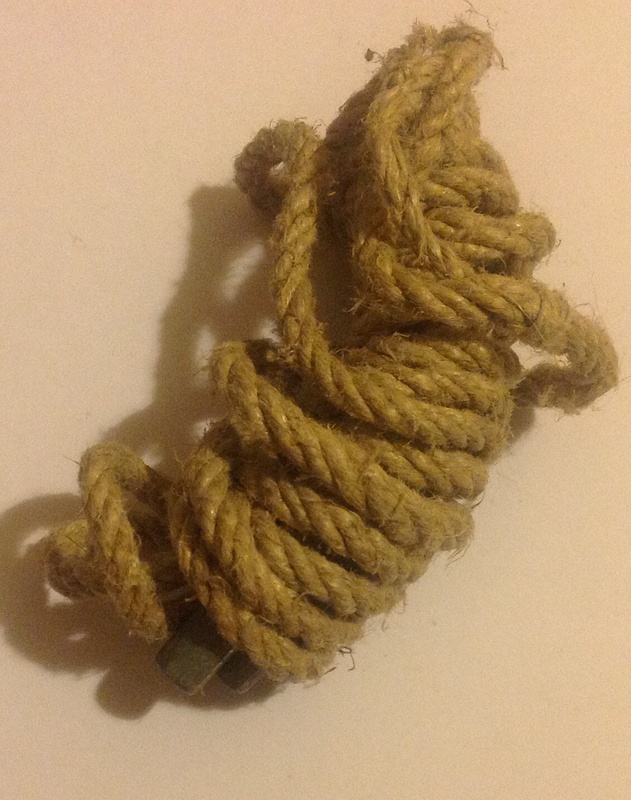 As previously touched upon in the post on the South African small pack, South Africa had very limited production capacity for modern woven cotton webbing. The country started the war with most cotton equipment being imported from abroad and very limited quantities of it available. One area the country did have capacity in was leather manufacturing. Leather was cheap and plentiful in the region due to the rural economy of much of the country, it was also durable and easily worked to make into equipment. 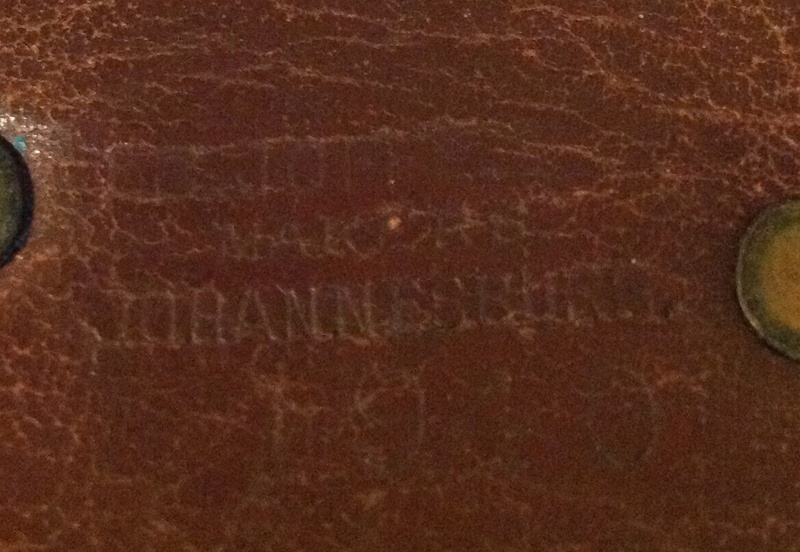 Perhaps because of these reasons South Africa continued to manufacture 1903 pattern leather bandolier equipment well into the Second World War. 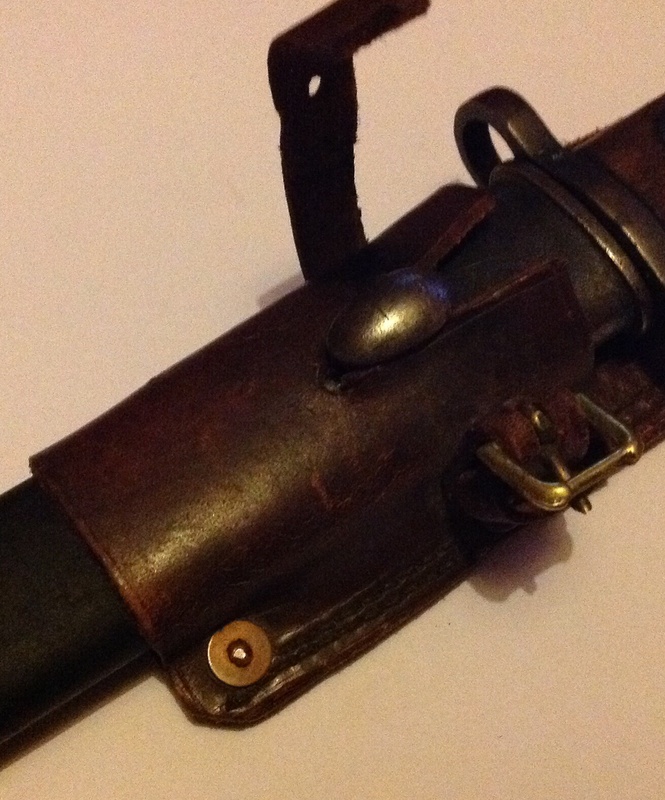 Tonight’s object is a South African made leather bayonet frog. Soldiers have used bayonets since the eighteenth century, originally because muskets were single shot and another form of weapon was needed for after a shot ahd been fired. By the twentieth century this was less of an issue, however bayonets were essential in close quarter fighting and all troops equipped with rifles were issued with one. 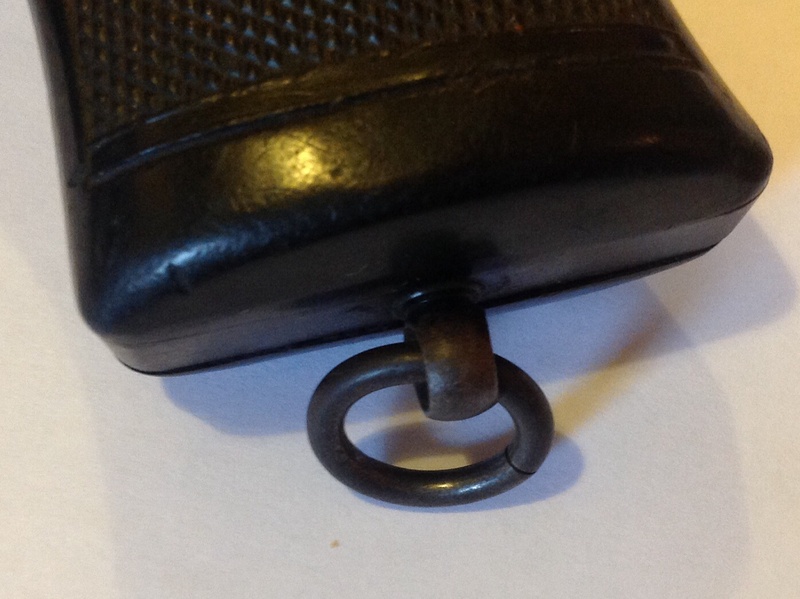 The British Empire used a 12 inch sword bayonet and of course needed a way of attaching this to their equipment. 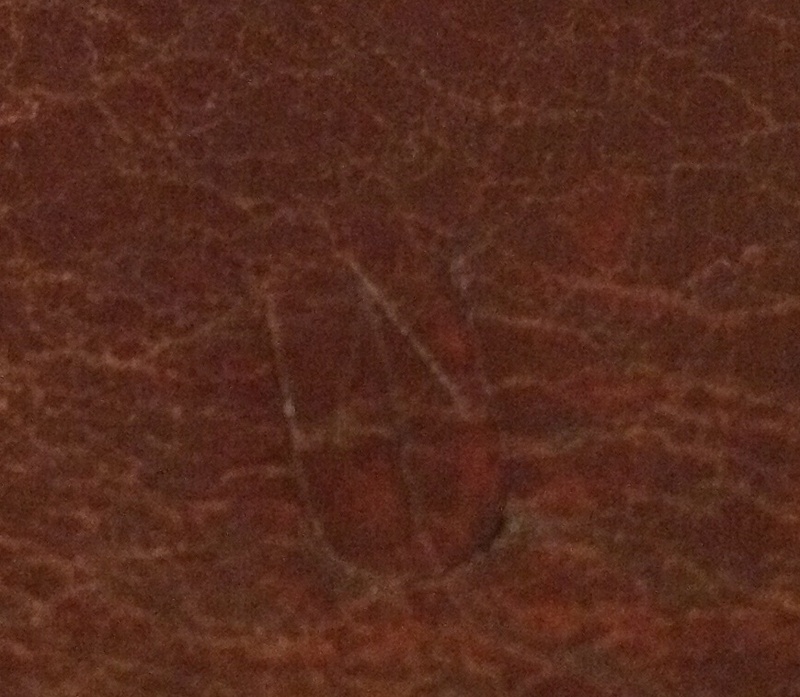 There is also the South African acceptance mark of a /|\ inside a ‘U’: Within a couple of years the use of leather equipment, even in South Africa, would be replaced with more modern cotton webbing. 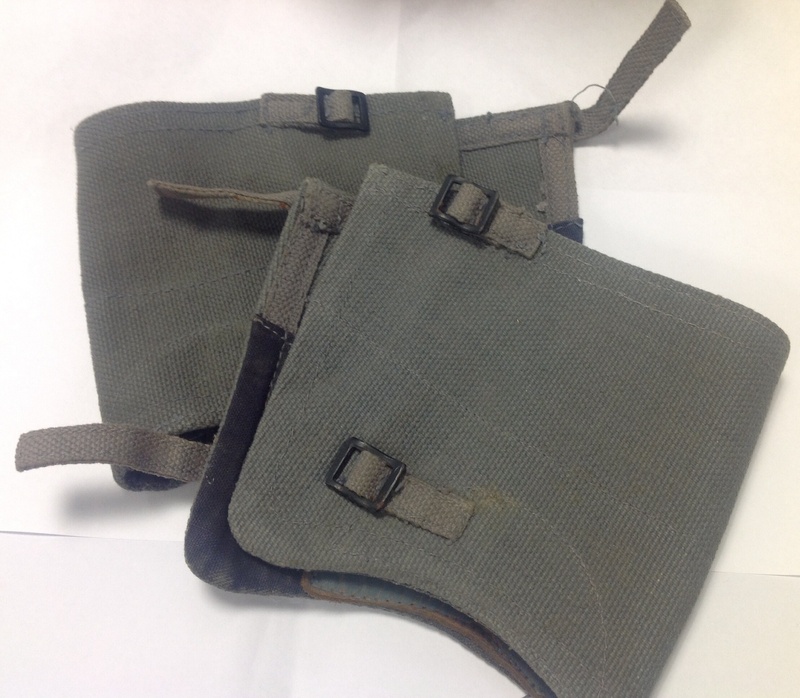 However at a time of acute pressure, the continued use of leather was a helpful stopgap that allowed troops to be equipped and trained whilst manufacturing capacity was increased. 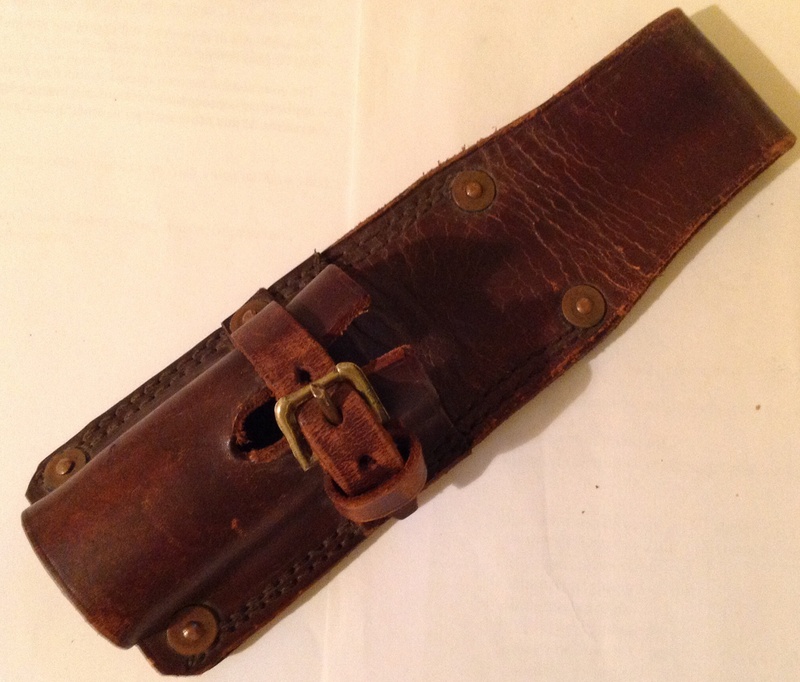 This entry was posted in equipment, South Africa, Webbing and tagged leather equipment, South Africa, South African on August 27, 2014 by hatchfive. 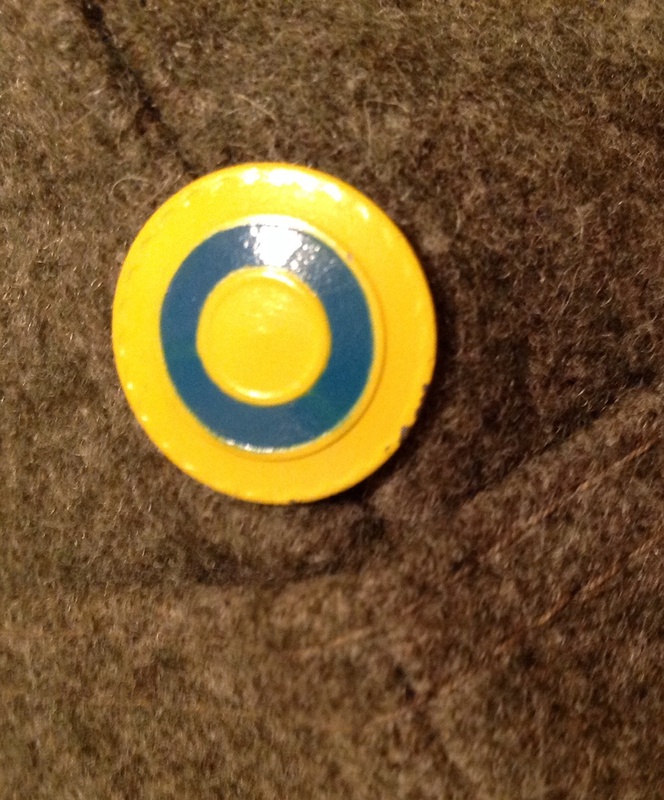 When the new battledress uniform was introduced in 1937, the old service dress cap was replaced by an even older design of cap, the Field Service Cap or FS Cap. 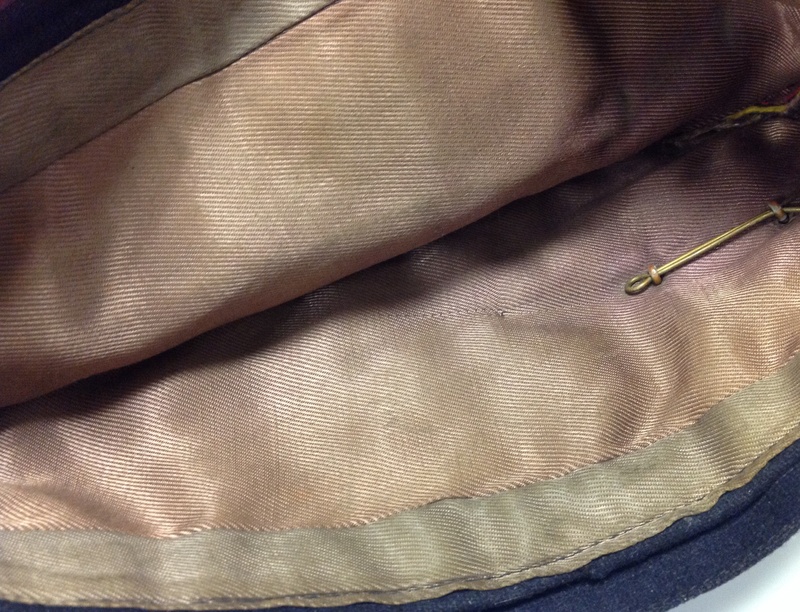 The FS cap had been used in the Victorian era and later by the Royal Flying Corps and had the advantage of being able to be folded flat and put in a pocket which was impossible to do with the stiff SD cap. Whilst officially the cap was only produced in khaki, very quickly regiments started allowing their soldiers to purchase coloured versions to wear when off duty to add a bit of colour to the drab uniform. 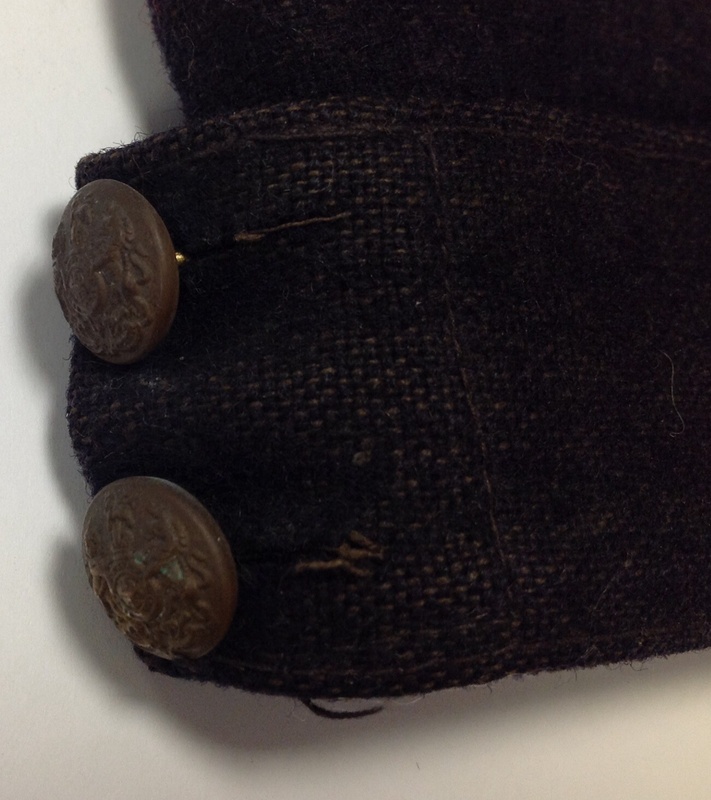 These were usually available in a cheaper rough wool for other ranks and a finer quality melton fabric for officers. The army placed great importance on mail for soldiers in both world wars. The army post office was a large and sophisticated system that quickly got letters an parcels to troops in the field and back from them to their loved ones. General Montgomery even went as far as to say that his soldiers could march for three or four days without food on the strength of a letter from home. One change from the First to the Second World War was the move to airmail for long distance letters. This was much faster than carrying mail by ship, however letters had to be as light as possible to make it easier to transport them. 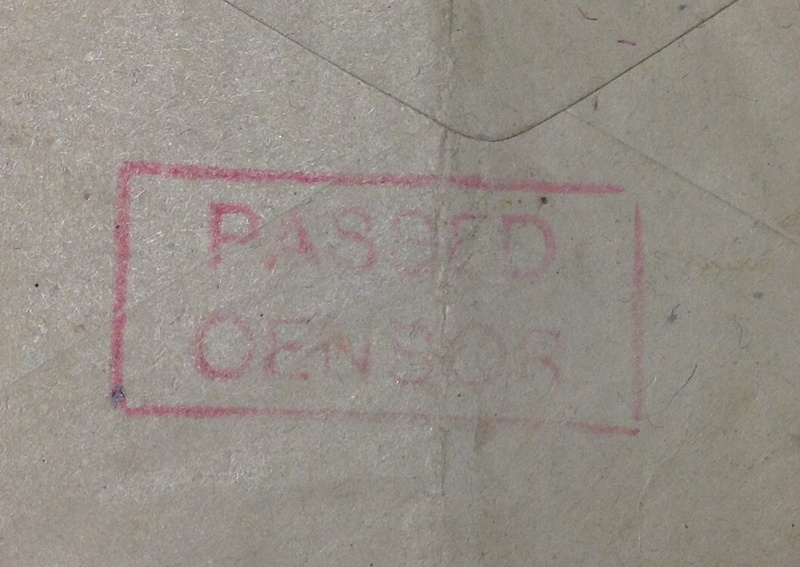 Special lightweight paper and envelopes were supplied to troops and these contained warnings on the outside that the letters were subject to examination and censorship: Censorship was done primarily to prevent anything of a sensitive military nature being revealed to people back home, but also prevented soldiers from writing home with complaints that might be prejudicial to good order. 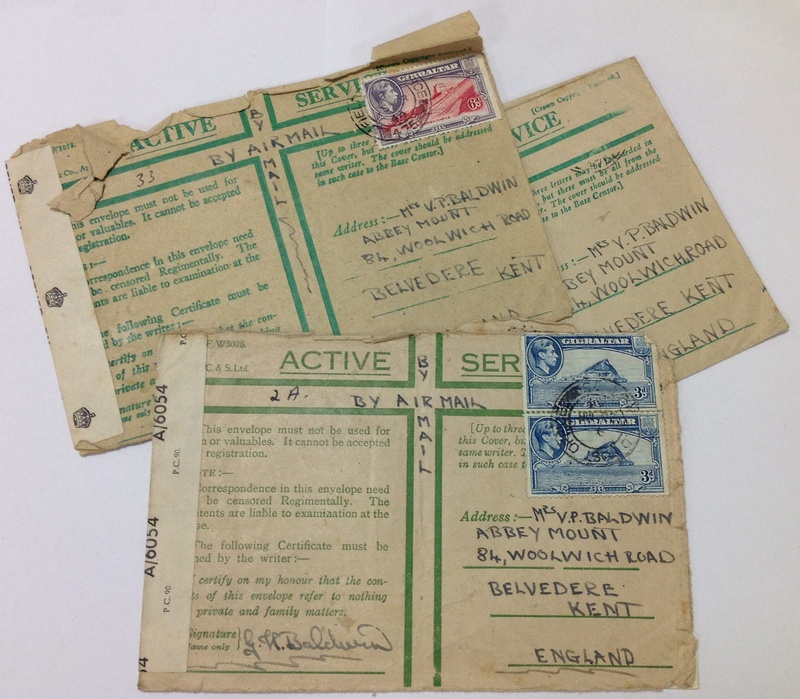 These three envelopes are all addressed to a Mrs V.P Baldwin of Belverdere, Kent and were sent from Gibraltar, a major garrison throughout the war. The stamps show it cost 6d to send the letters home: The tape on one end of two of them is an indication of where the censor has opened the mail to read it and then resealed it: The other envelope has a ‘Passed by Censor’ stamp on the rear instead: These envelopes were part of a big batch of other envelopes and postcards that cost 50p, so they probably only cost me a penny or two each, but are an interesting reminder of the importance letters played in a soldier’s life in the days before email and mobile phones. 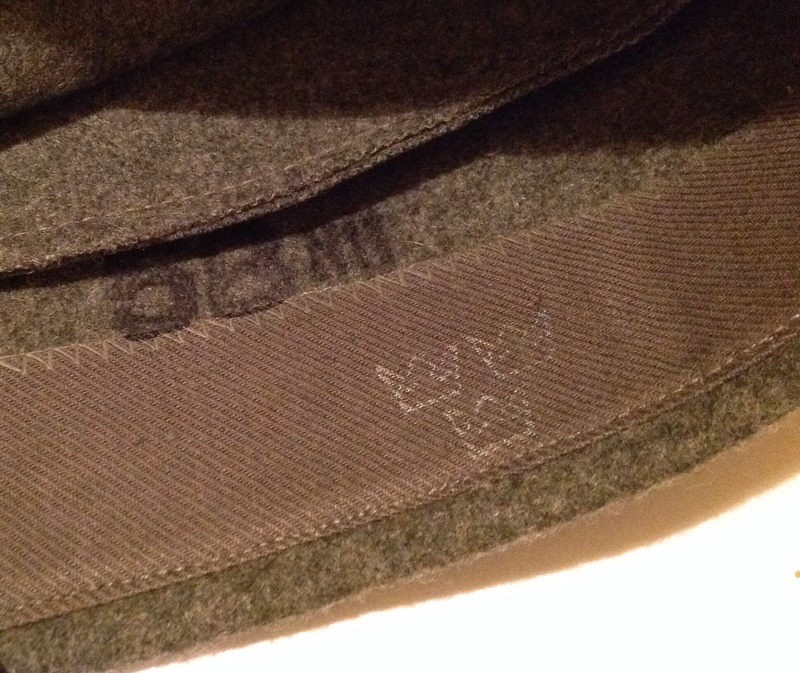 This entry was posted in British Army, Documents, Latest Pick Ups and tagged Field Service Cap, Royal Engineers on August 26, 2014 by hatchfive. Just to prove that not all my collection comes from the second hand market, these latest pickups came from EBay and the Car Boot Sale. 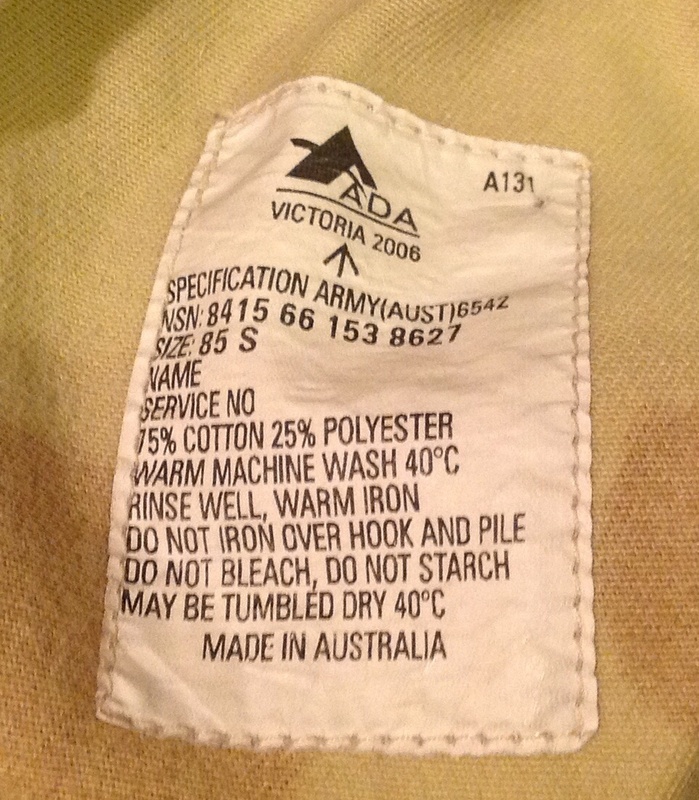 These shorts are Australian camouflage shorts as used by the Australian Army in Afghanistan. The camouflage is technically called ‘Disruptive Pattern, Desert Uniform’ (DPDU), but is commonly called ‘Auscam’. 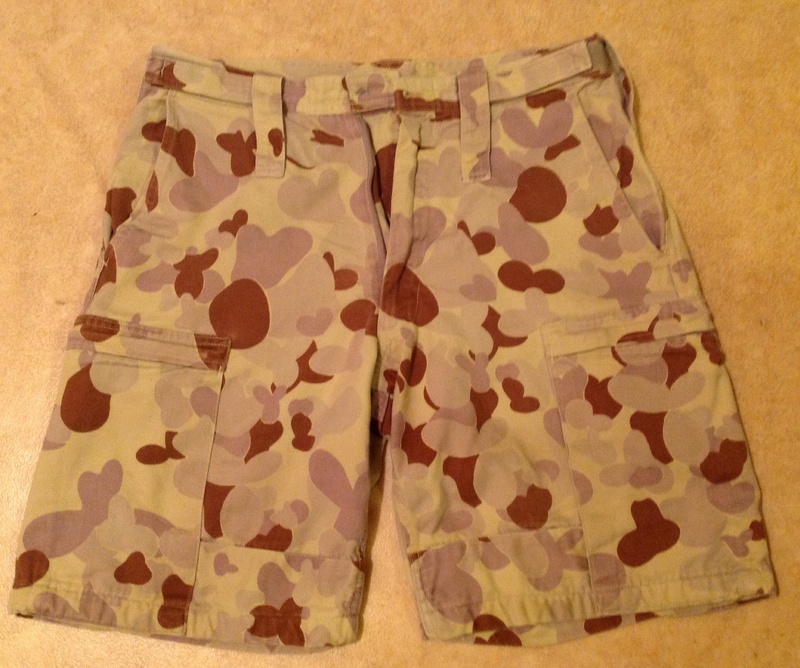 This is the third pattern desert camouflage and was introduced in 2002: The shorts have a label inside showing they were made in Victoria in 2006: They have Velcro adjusters on either side if the waistband and belt loops. 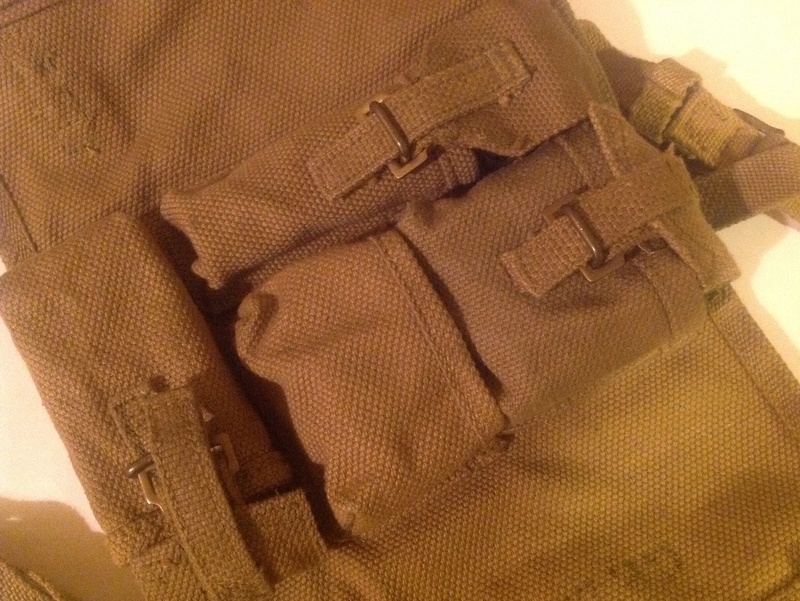 I need to replace the front waist button, but otherwise they are a nice piece of uniform for the collection. 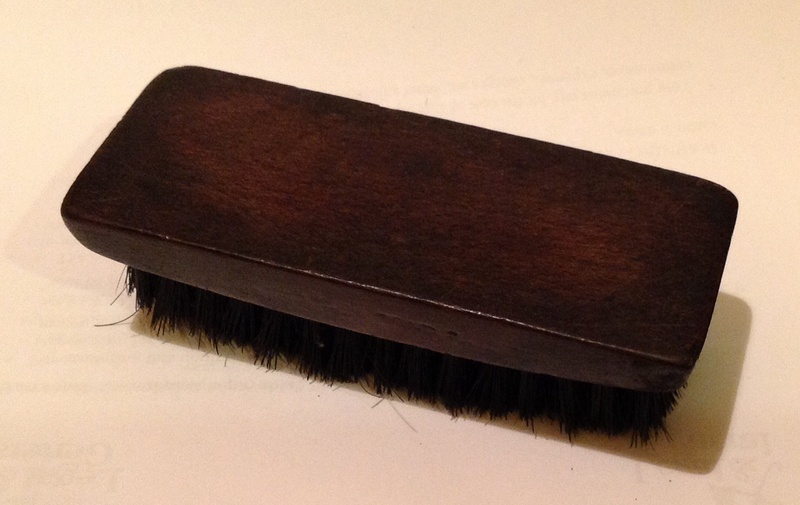 This little brush is dated 1918 and has the W /|\ D mark and a makers mark for Vale and Bradhark: It is a good example of militaria appearing in the unlikeliest places. It was in a pile of brushes on a boot sale stall and I looked through on the off chance and got lucky. 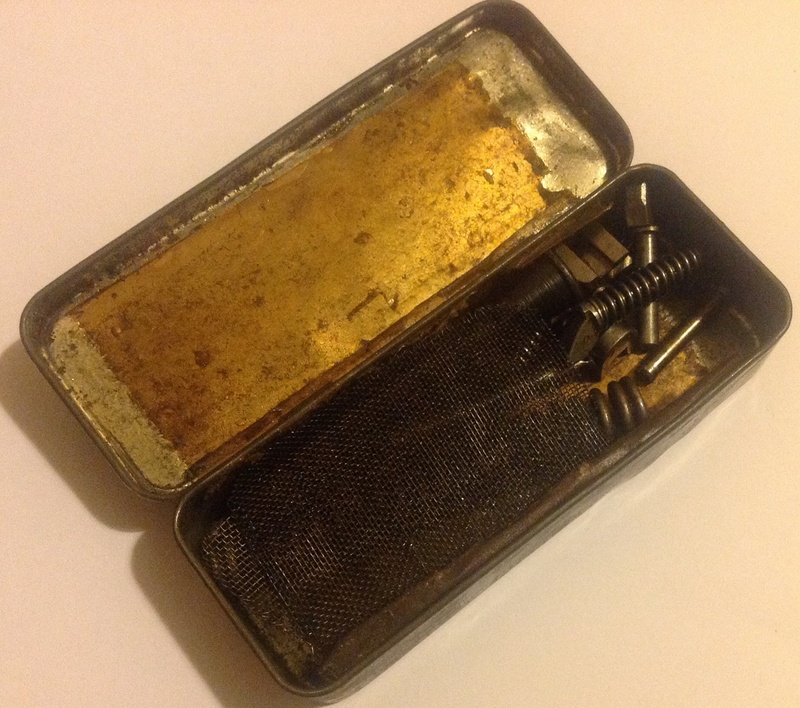 50p for WW1 personal kit is a good deal in anyone’s book! This entry was posted in Australia, Camouflage, Latest Pick Ups, Personal Kit, Sweden, Uncategorized on August 24, 2014 by hatchfive. In the final years before the outbreak of the Second World War, the British army was looking at a variety of designs for updating its uniforms, weapons and equipment. One area they looked into was replacing tinned steel mess tins and enamelled water bottles with aluminium alternatives. 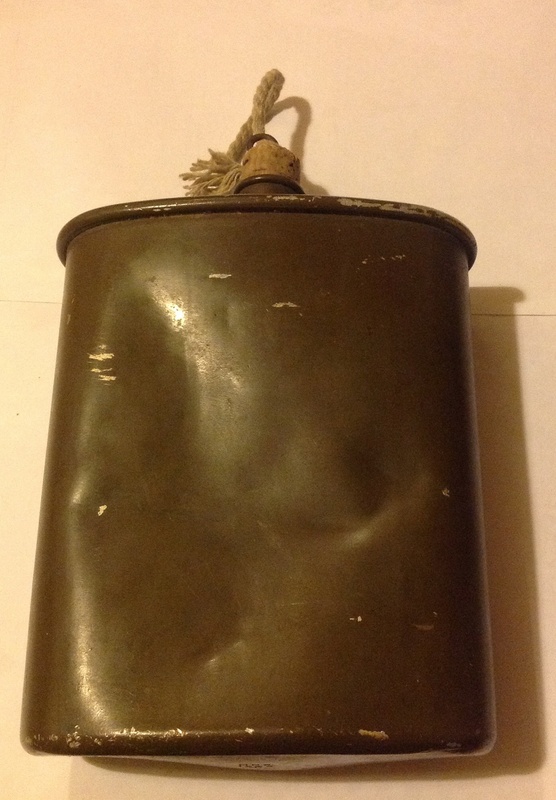 Aluminium was lighter, shaving a few ounces from the soldiers burden; and more hygienic it didn’t rust: The water bottle is based on the earlier enamelled version, with a flat top: The cork is the standard type used on all British water bottles of the period, attached to a string that attaches through a loop next to the spout: On the base is a maker’s mark and date, M.M.S. 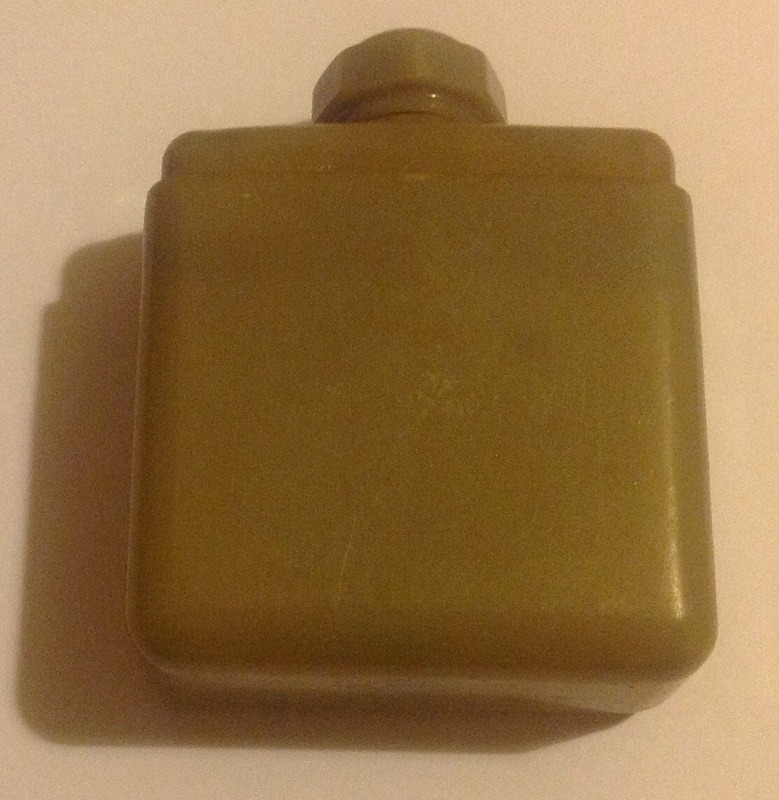 1939: The bottle is painted in an overall drab green paint and no felt cover was issued with these bottles. 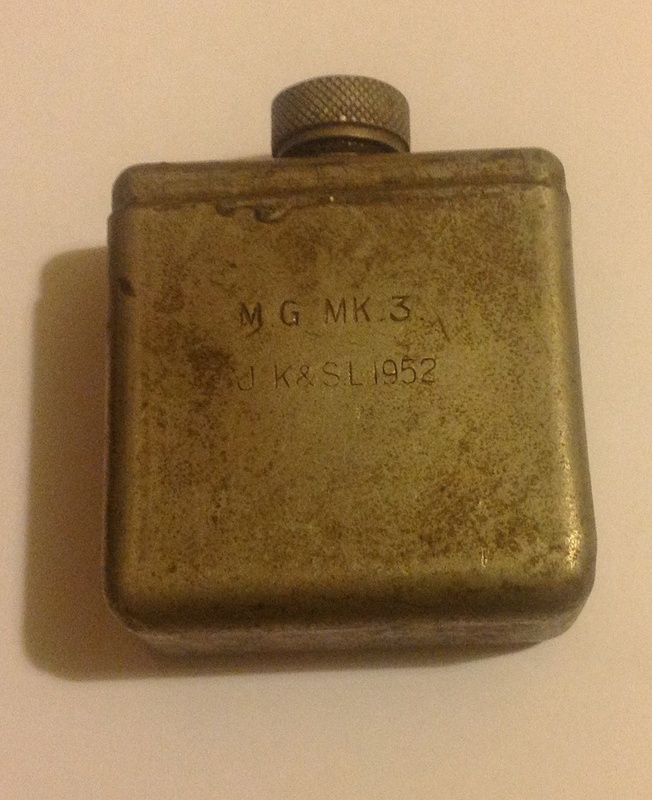 These bottles were never very common, with the outbreak of the Second World War curtailing their introduction. They were withdrawn and recalled for salvage in 1941, with aluminium being considered a strategic resource. Therefore surviving examples are becoming increasingly hard to find. The green army version is more common, whilst I have only ever seen a blue painted RAF version once on a dealer’s website. Needless to say it was not cheap! 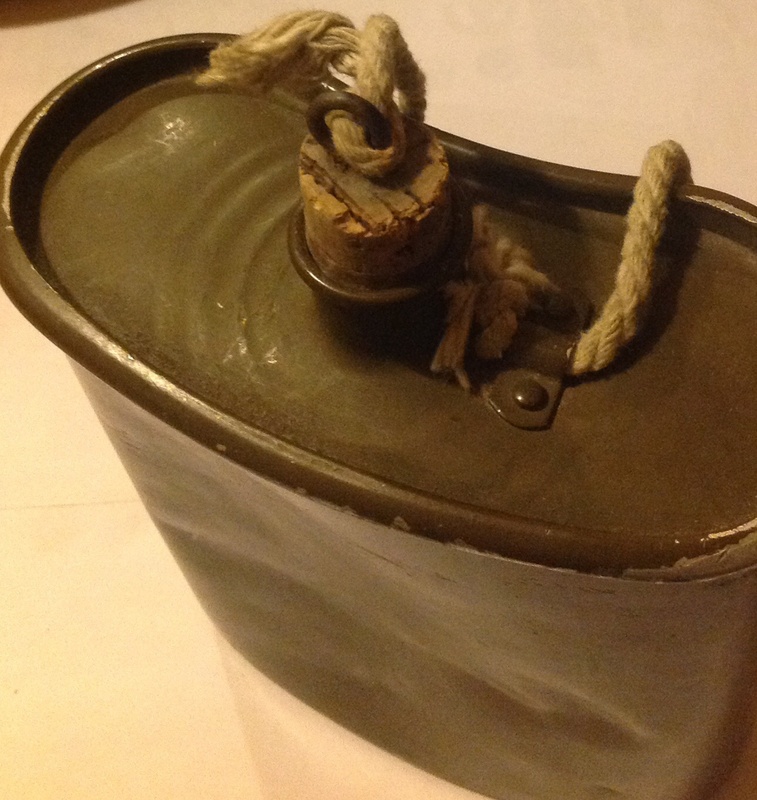 This entry was posted in British Army, equipment, Uncategorized, waterbottle and tagged Aluminium, the Second World War, water bottle, water bottles, waterbottle on August 21, 2014 by hatchfive. In the days before widespread use of bank accounts most working people were paid in cash by their employers at the end of the week. Soldiers were no exception and they would queue up with their paybooks to collect their weekly wage and have it recorded. 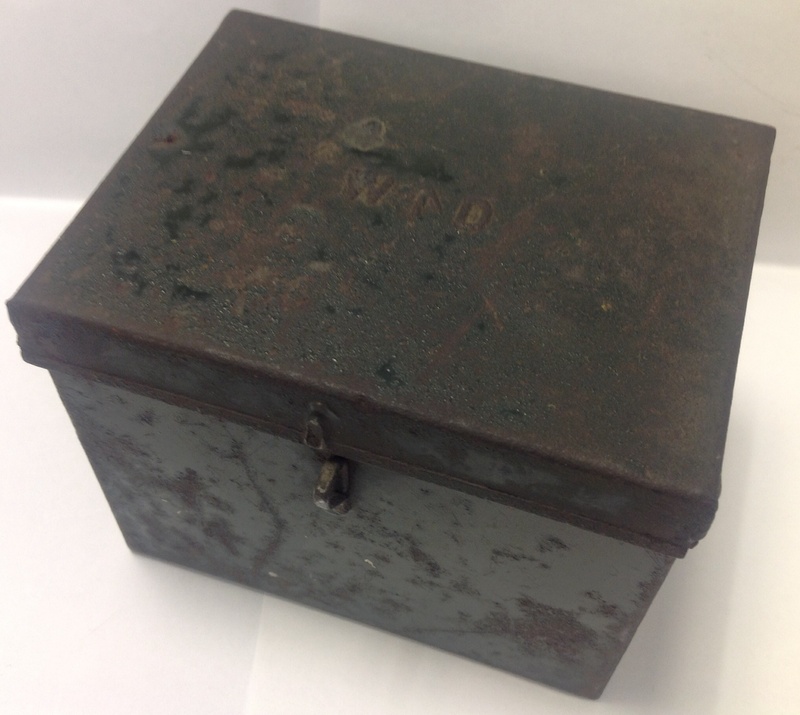 I believe this tin box is an example of the cash boxes used by the army to store these wages in prior to distribution. 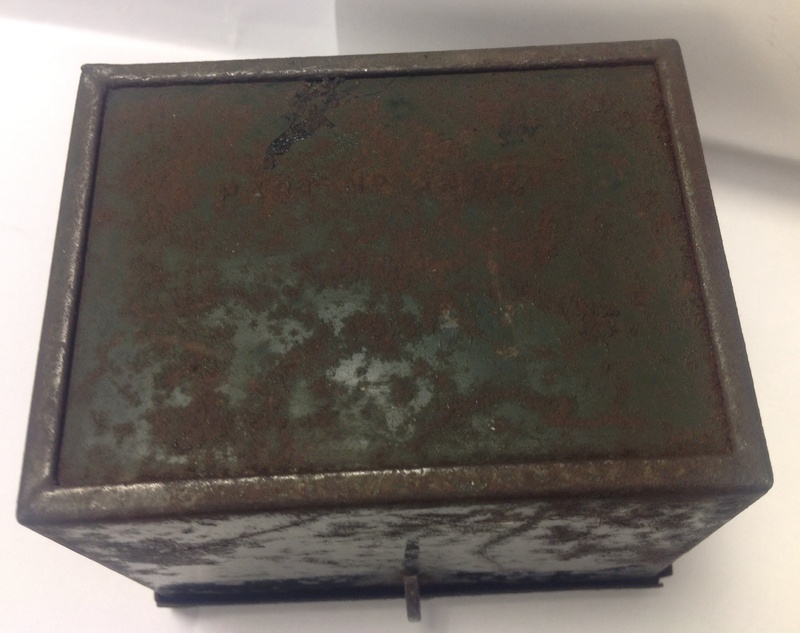 On the base is the makers name and a date of 1951: Inside the box was silvered and has space for change: I must confess I bought this box without any idea as to what it was, beyond being military, however thanks to a post on a forum a fellow collector pointed me in the right direction for a possible identification. 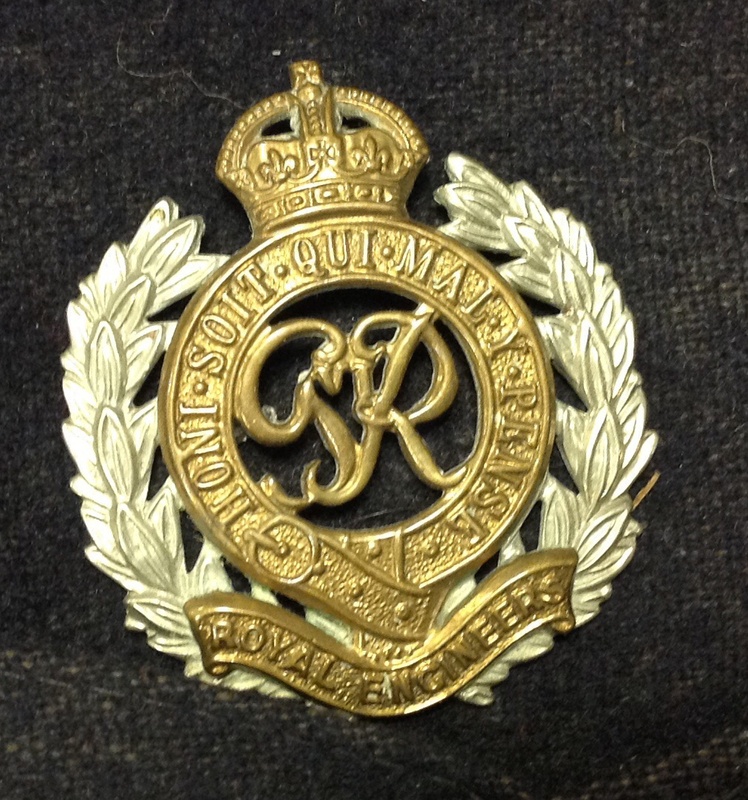 When the British Army introduced their new uniform and accoutrements in the late 1930s priority went to the Infantry, then the other branches of the army. The RAF and the Navy came further down the pecking order and continued with their existing patterns of equipment into the middle of the Second World War. When they did finally get the new 37 pattern equipment many items were unavailable in the traditional blue-grey the RAF was used to, and army khaki had to suffice. 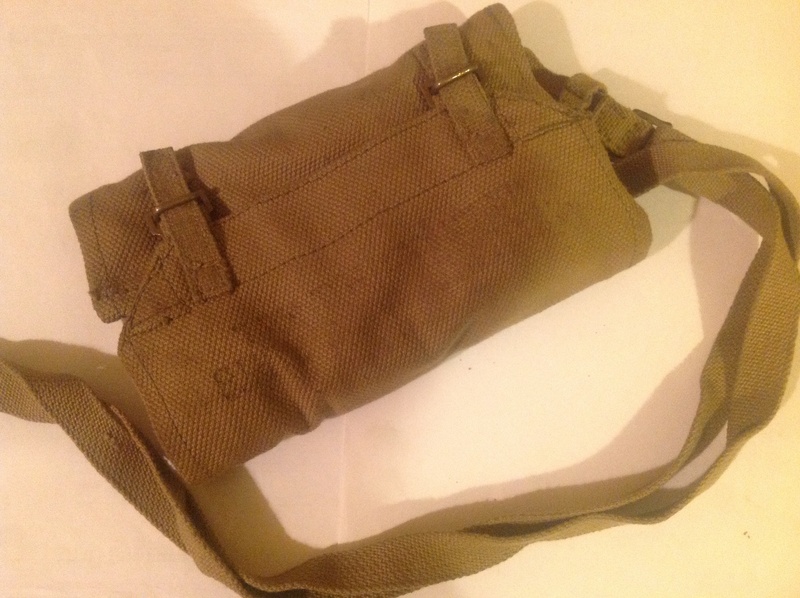 It was therefore the mid 1950s before large quantities of blue grey 37 pattern webbing and associated kit such as anklets and rifle straps were produced. 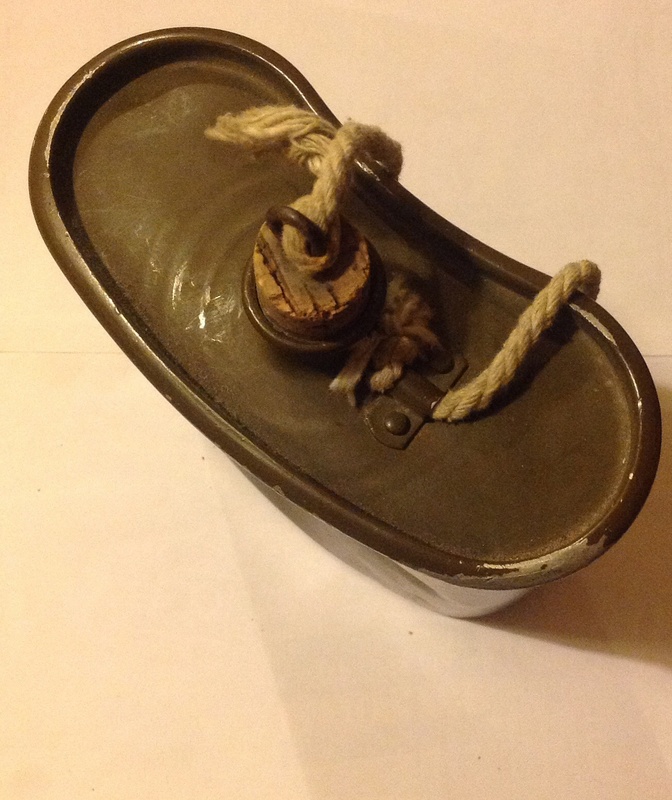 The anklet was designed to replace the puttees that had been in use since before the First World War. 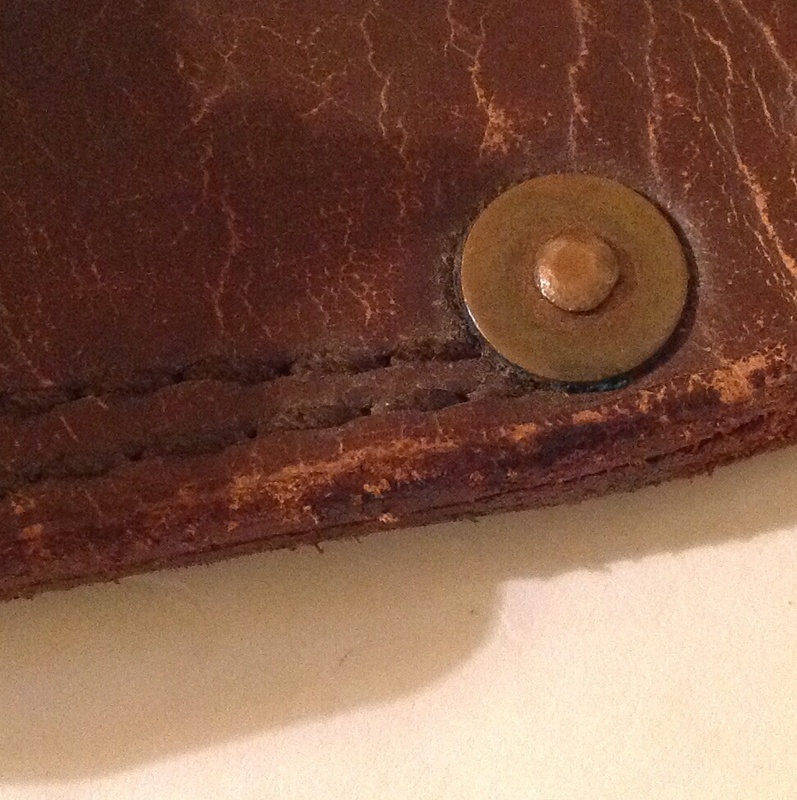 It was actually based on an earlier Victorian design, but made of cotton webbing rather than leather. Anklets went around the ankle covering the bottom of the trouser leg and the top of the boot, preventing damage to both on undergrowth and the like. 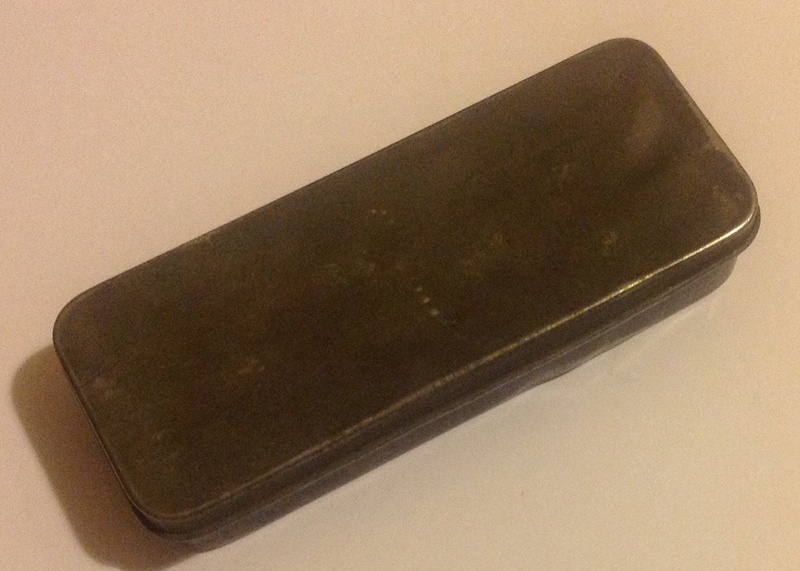 They were manufactured in 1954 by SC Co, and are marked as a size 3: The buckles are in the post war blackened metal rather than the earlier brass: I am very pleased with this pair as I am slowly pulling together the kit for a 1950s aircraftman and these are another piece of the jigsaw. Post war RAF kit is very cheap at the moment and virtually unissued so I am picking bits up where I can. This entry was posted in equipment, Latest Pick Ups, Royal Air Force, Uncategorized and tagged RAF on August 19, 2014 by hatchfive. All guns, no matter how good, need repairs and maintenance in the field from time to time. 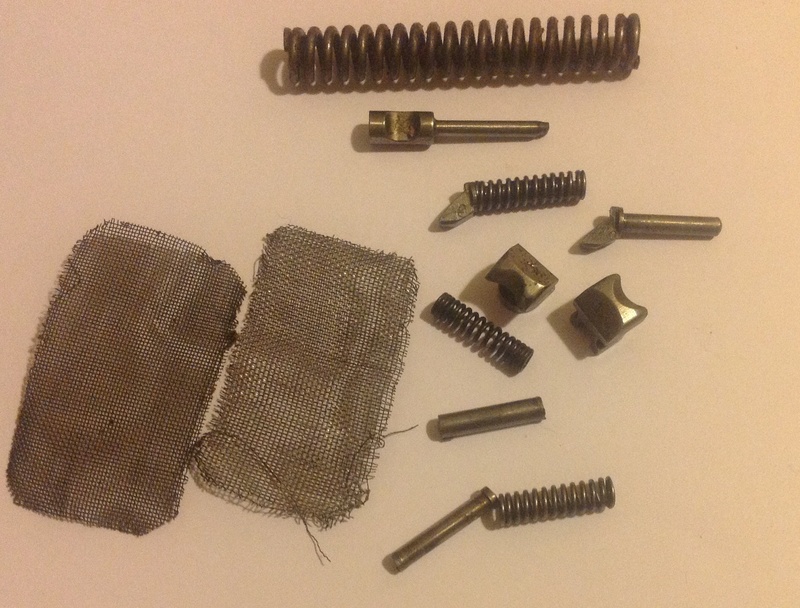 Whilst most rifles were only supplied with a pull through and an oil bottle, more complex weapons like light machine guns, needed a more comprehensive set of spares and cleaning equipment. 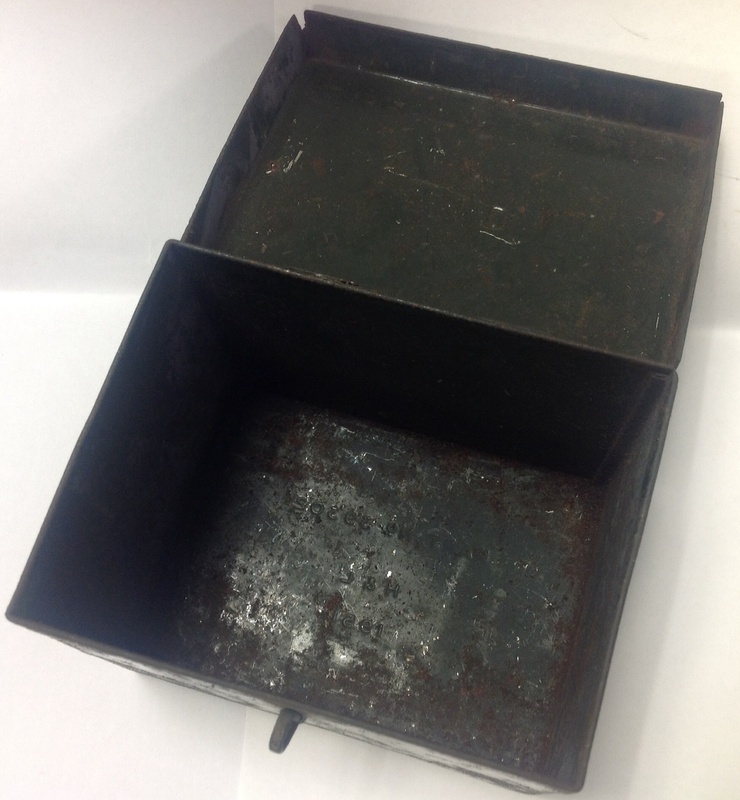 Today we are looking at the contents of the spares wallet for the Bren Gun. 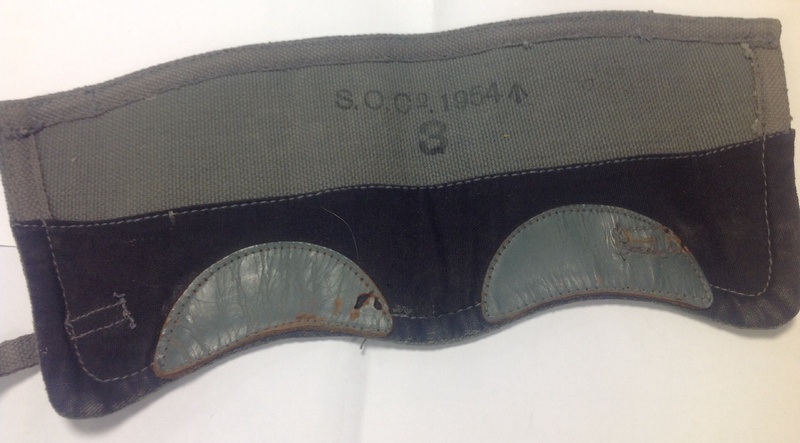 The wallet itself is made of webbing, with two fasteners at the font and a long strap to allow it to be slung over the shoulder: Inside are a set of different pockets and pouches to hold the various items of the spares and cleaning kit: Let us now look at the contents of the wallet. 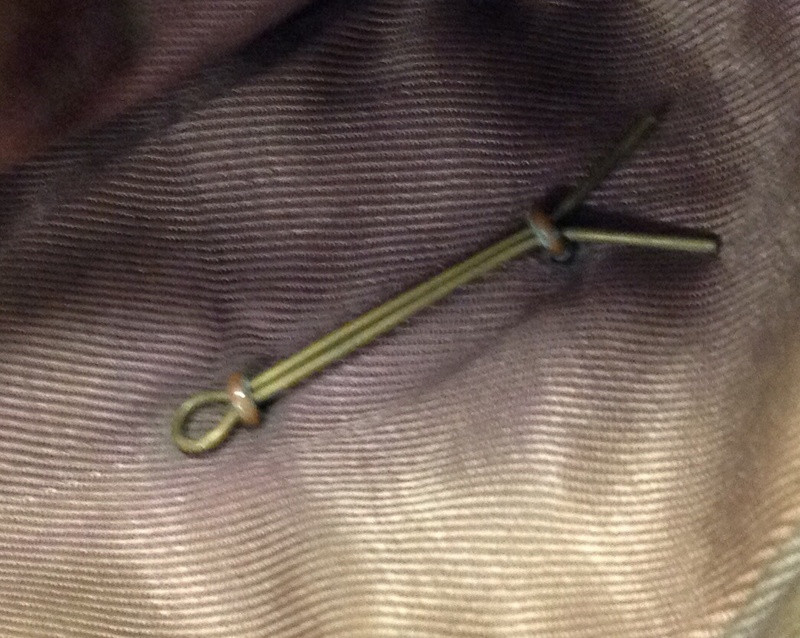 One end of the pull through was dropped down the barrel of the weapon, with a cleaning cloth on the opposite end. This was then pulled through and this helped remove a build up of carbon on the rifling within the barrel of the weapon. 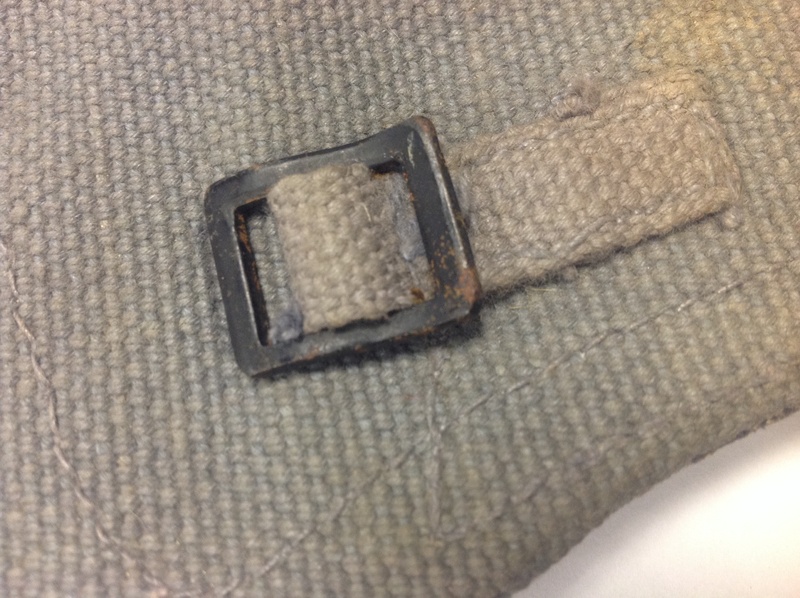 This entry was posted in British Army, equipment, Uncategorized, Weapons, Webbing and tagged Bren Gun, light machine guns on August 18, 2014 by hatchfive. The Webley .455 revolver had been the standard firearm of the British Army since 1887, with its powerful bullet designed to stop a charging native in his tracks. Following service throughout the First World War it was decided in the early 1930s to replace it with a smaller and lighter firearm firing a .38 cartridge which would be easier to train soldiers with as the recoil would be substantially reduced. Webley came up with a .38 version of their famous revolver and submitted it for trials, whereupon the British military took the revolver and gave it to the Royal Small Arms Factory at Enfield, who changed it enough to avoid infringing patents and the British Army adopted the Enfield made Revolver, No2 Mk1 in 1931. 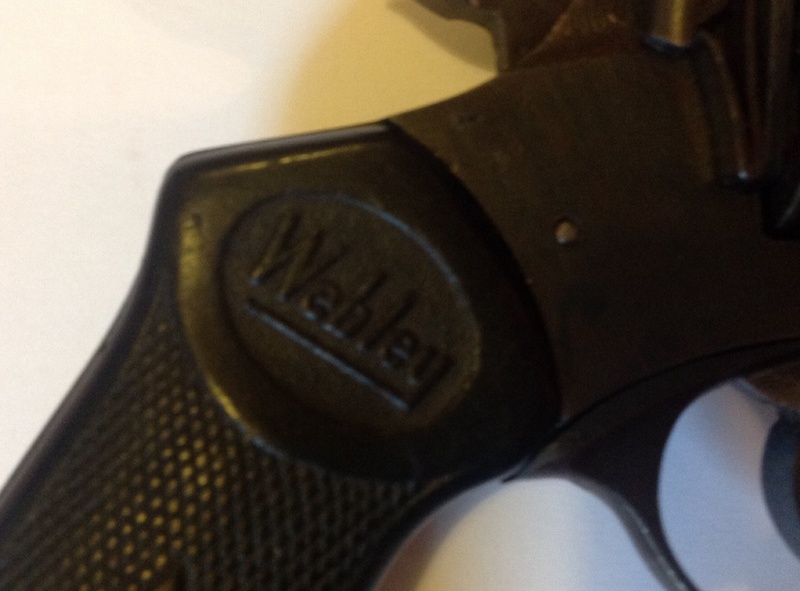 Webley sued and were awarded £2250. There the matter might have remained if not for the outbreak of the Second World War. 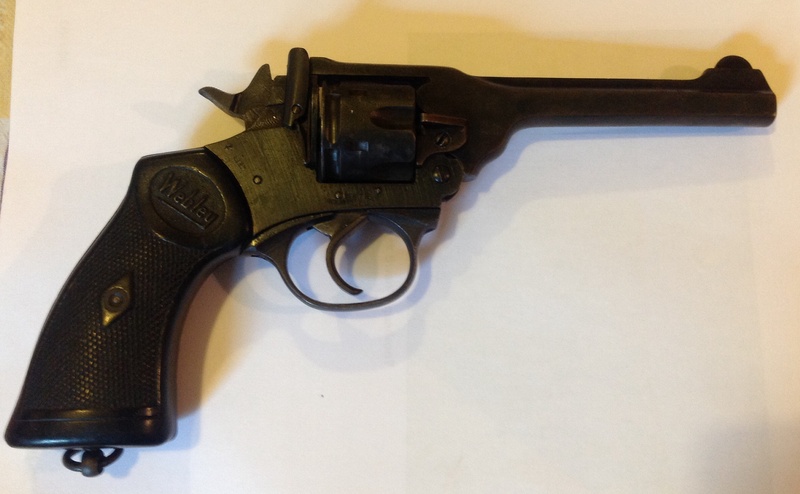 With the outbreak of the Second World War there was a massive shortfall in small arms for British Empire troops and manufacturers were encourages to maximize output, therefore Webley was officially contracted to produce their previously rejected .38 revolver for the British Army. 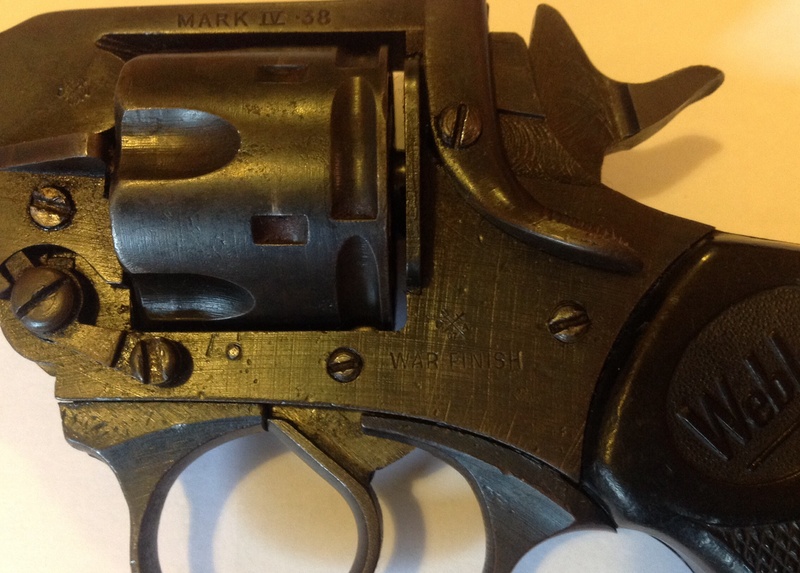 This revolver was also classified as Revolver, No 2 Mk1 as were other .38 revolvers from the United States such as the Smith and Wesson Victory revolver. This led to the absurd situation where officially an armourer had a matching set of Revolver No2 Mk1 on stock, however they could be of four different patterns with no matching parts! The gun itself is a top breaking revolver with a six cartridge capacity, it weighs 2.4lb unloaded and had an effective range of 50 yards. 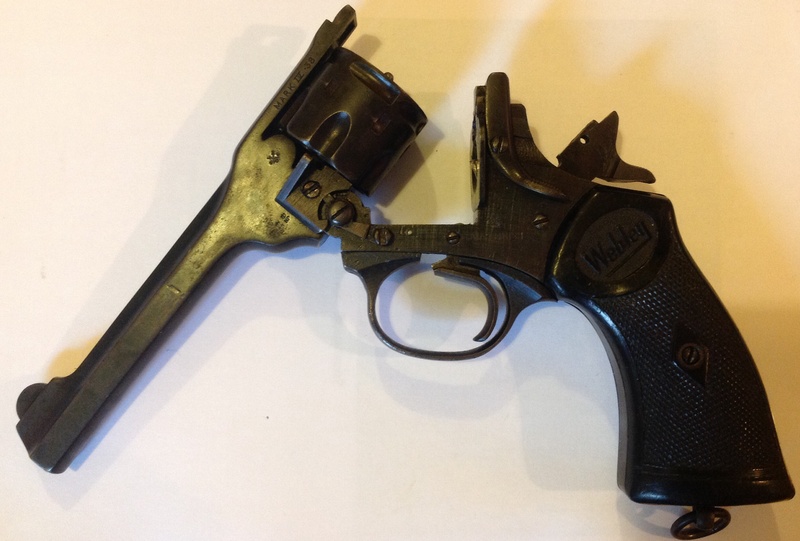 The manufacturers name is clearly visible moulded into the grips: The revolver is undated, but is marked ‘War Finish’ on the frame indicating it was manufactured for the War Department. 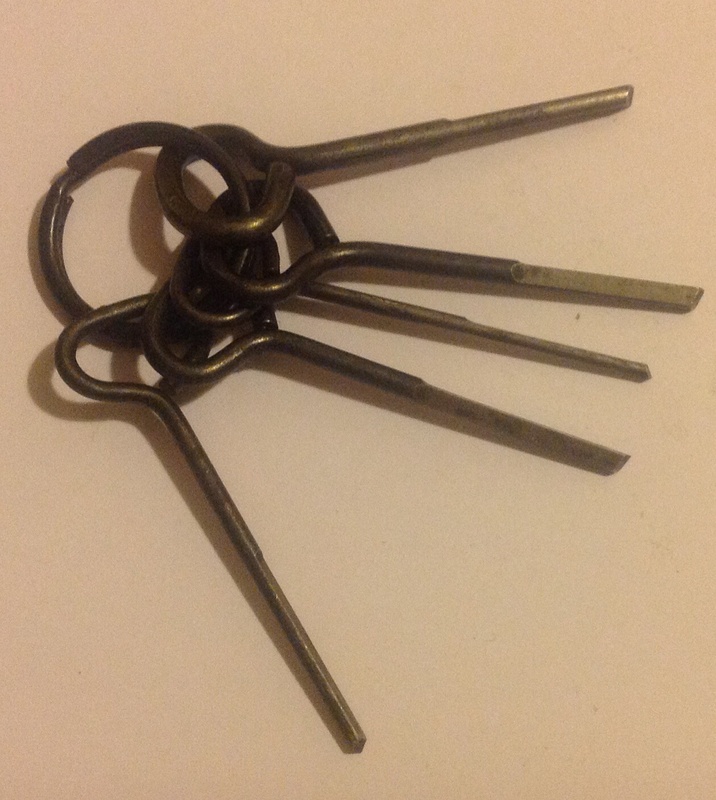 This example has been deactivated by fitting a rod down the barrel, removing the firing pin and filling up the cylinder: On the base of the grip is a ring for attaching to a lanyard to prevent the revolver being lost or stolen: The Webley revolver was an iconic weapon and remained in service up until the widespread introduction of the Browning Automatic Pistol in 1963, many revolvers being in mint condition when withdrawn due to a lack of ammunition to fire! 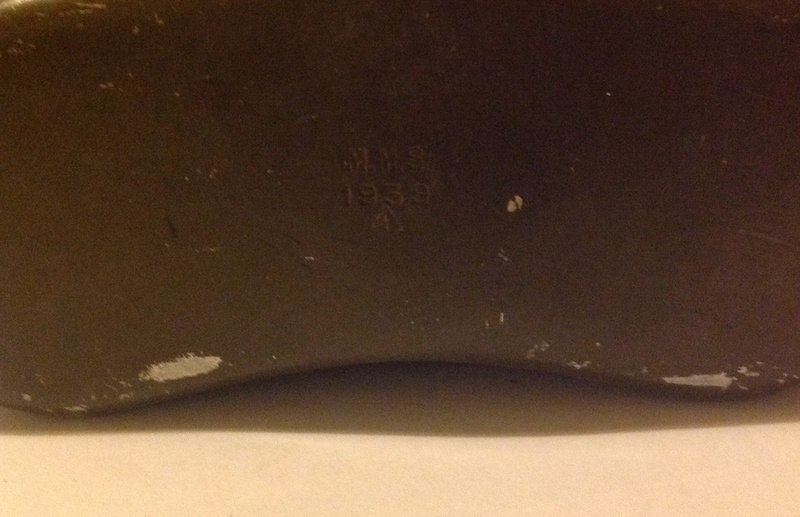 This entry was posted in Revolver, Weapons and tagged .38 revolver, Revolver, Royal Small Arms Factory, The British Army, Webley, Webley revolver on August 15, 2014 by hatchfive.